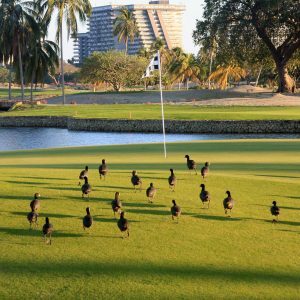 Originally built in 1967 by the renowned architect Robert Trent Jones Sr and remodeled in 2011 by the equally impressive Tripp Davis. 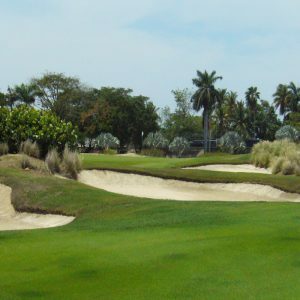 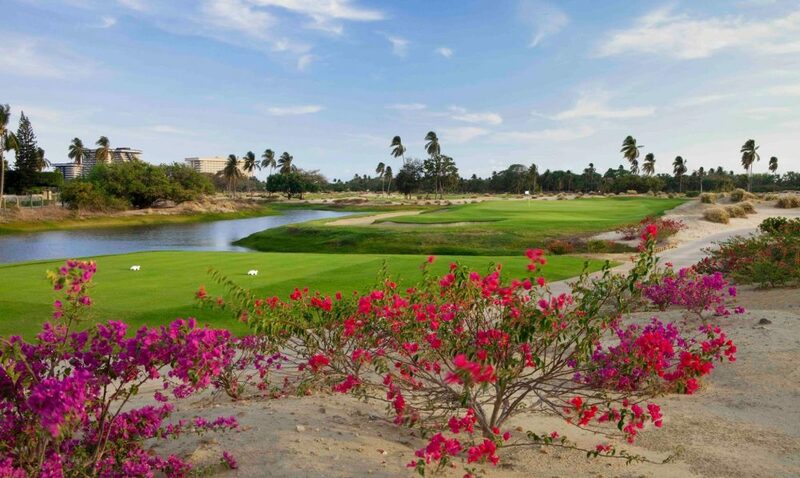 Turtle Dunes Country Club (formerly known as Fairmont Pierre Marques Golf Course), host to the World Cup of Golf in 1982, is a totally different challenge to its sister course Princess Mundo Imperial Golf Course. 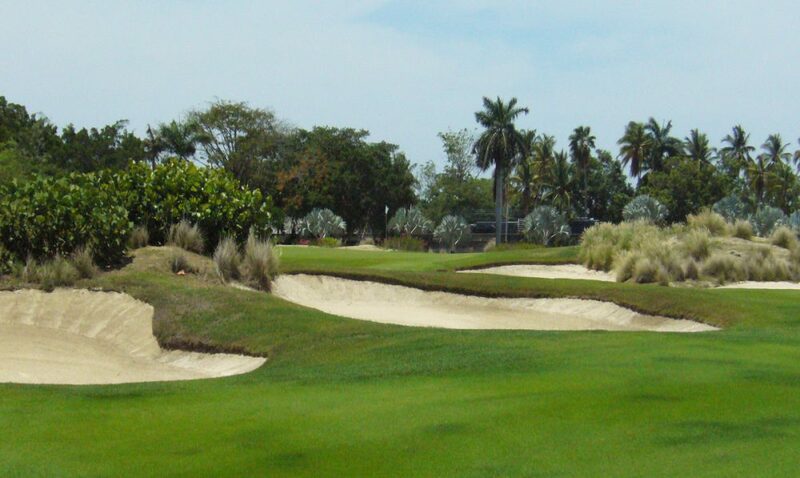 Not only is it a greater challenge but it is also an exceptional championship layout. 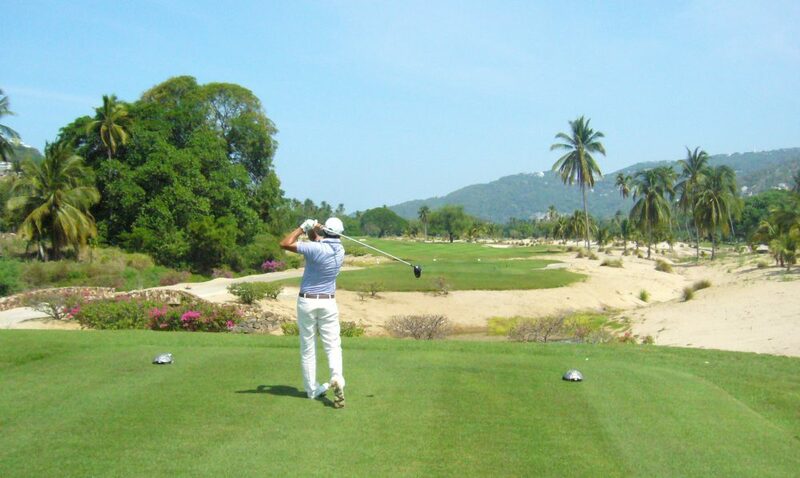 Standing on the first tee you could be mistaken for playing a golf course in Las Vegas. 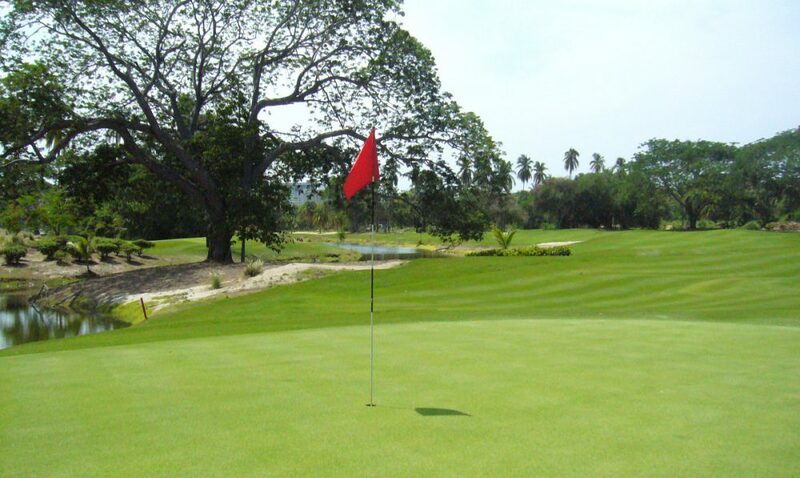 It is always in perfect playing condition and a credit to the grounds staff. 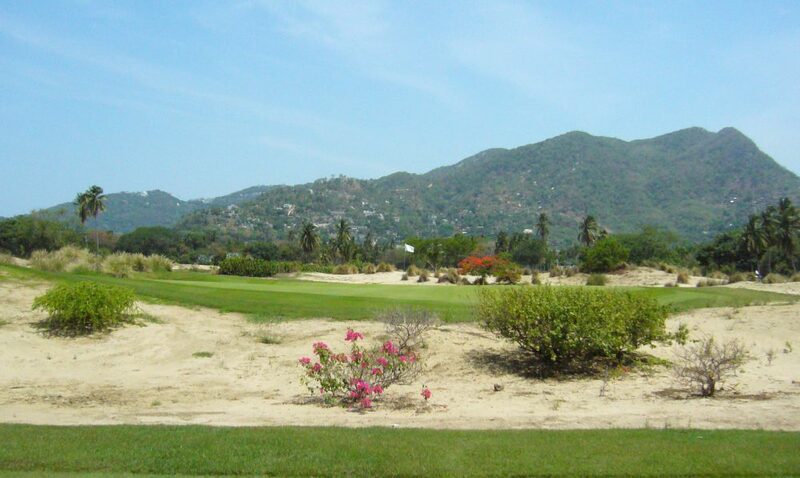 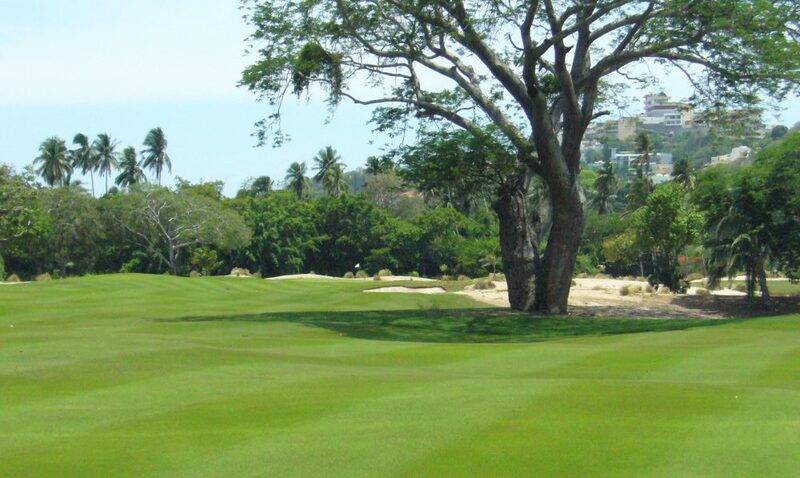 Each fairway is gently lined by sand dunes and parota trees. 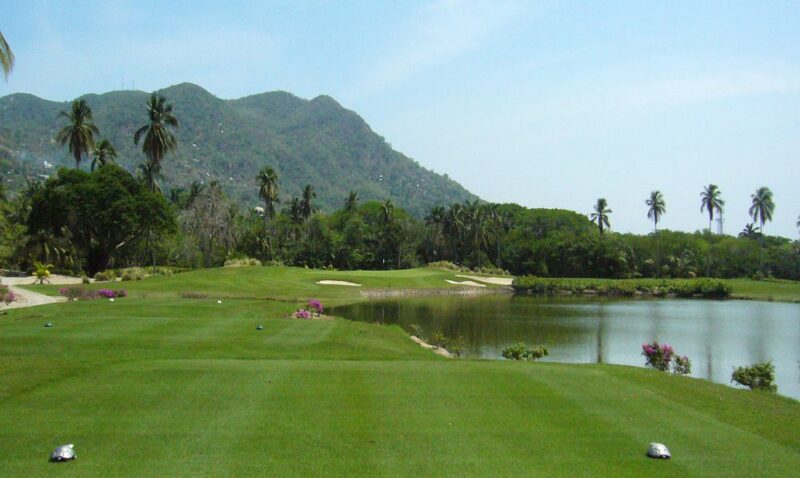 Course management is well rewarded on this course. 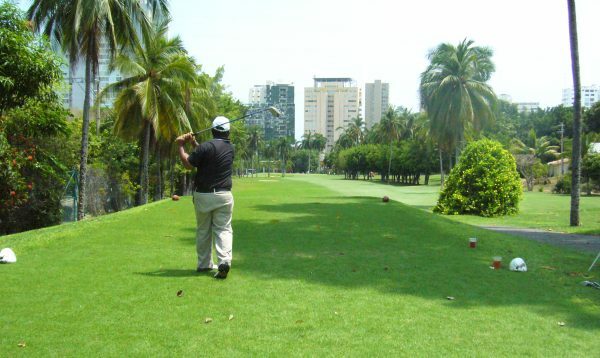 But don’t worry if you are not long from the tee as there are five different blocks to choose from. 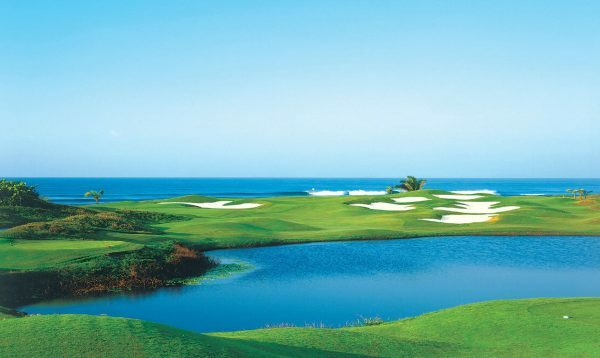 Turtle Dunes is a member’s course (click for details) so sadly general admission is NOT available. 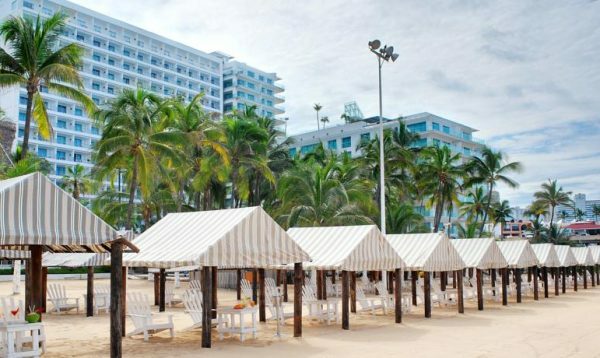 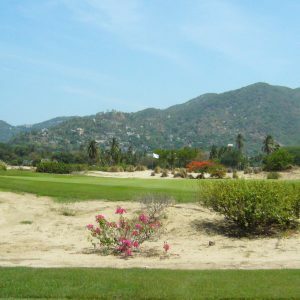 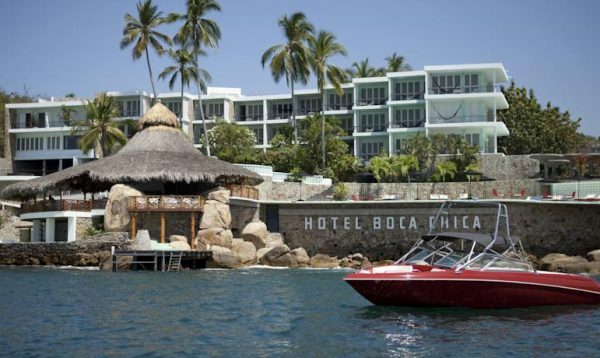 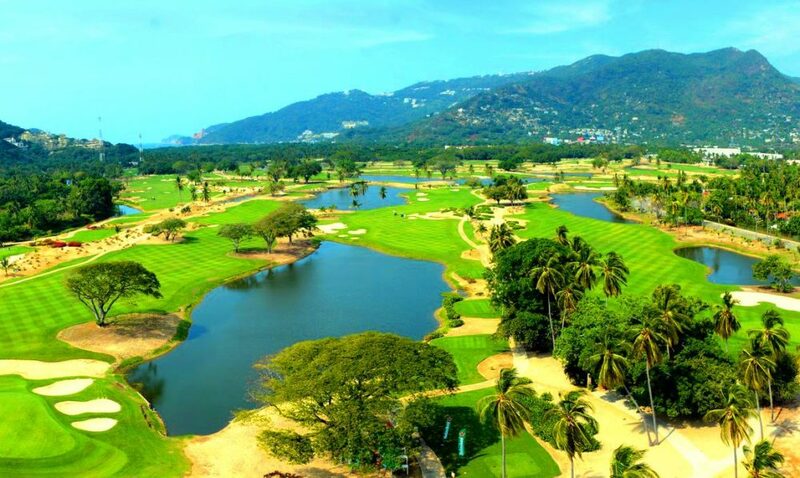 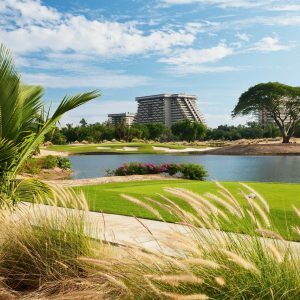 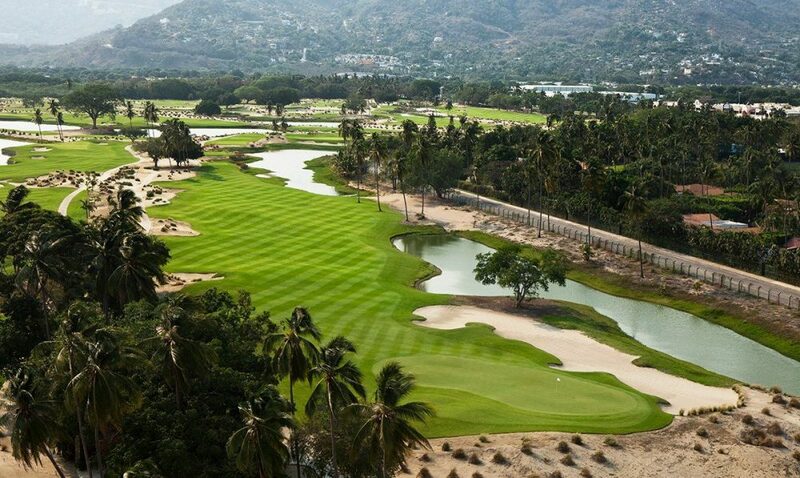 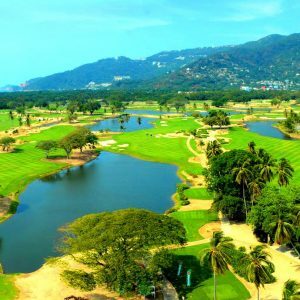 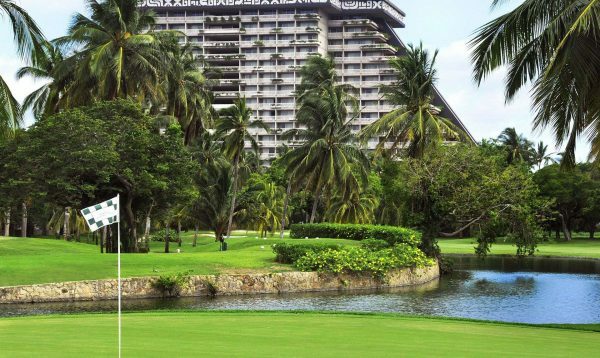 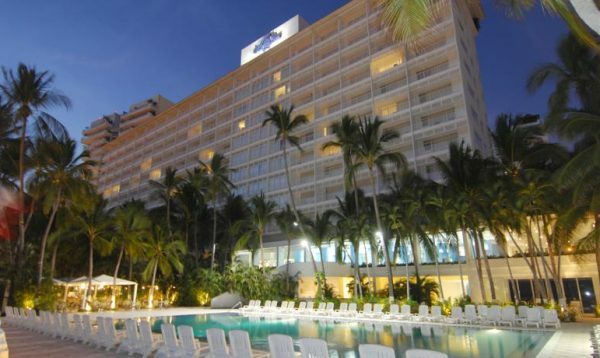 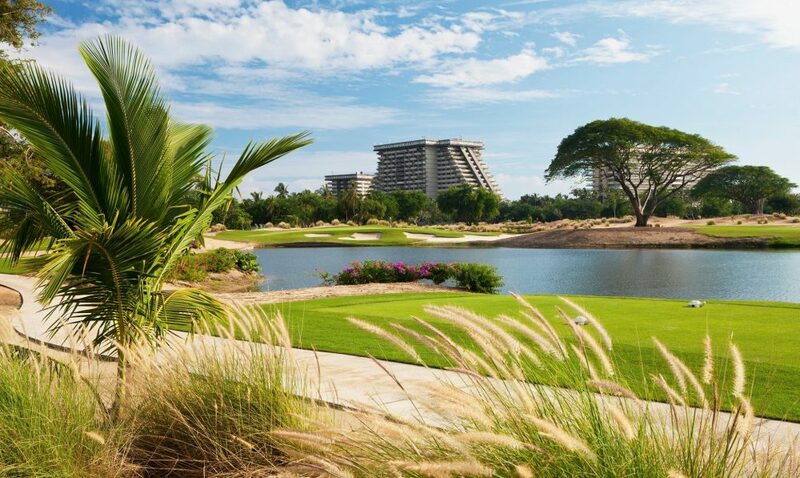 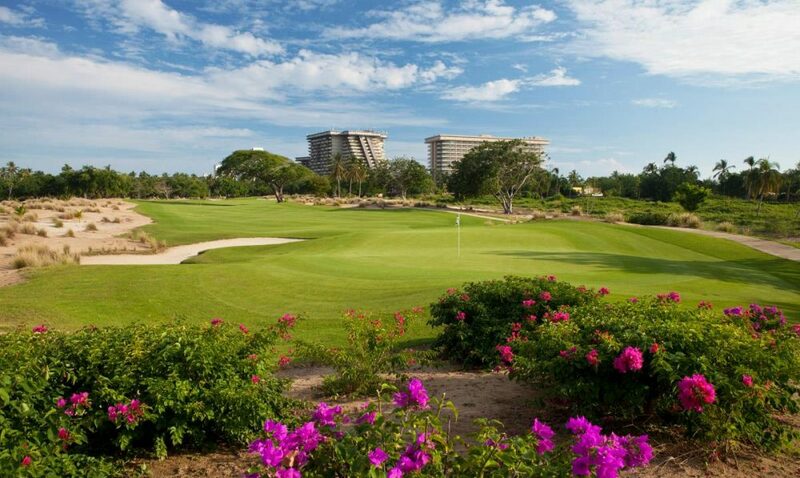 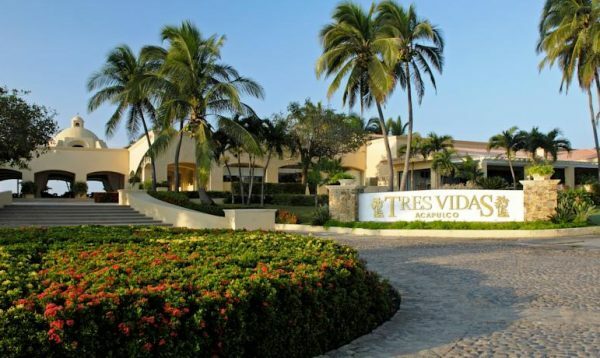 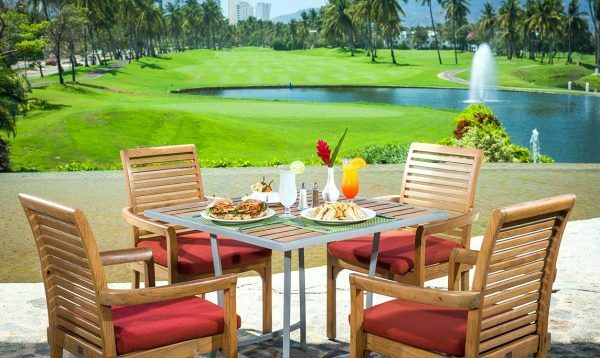 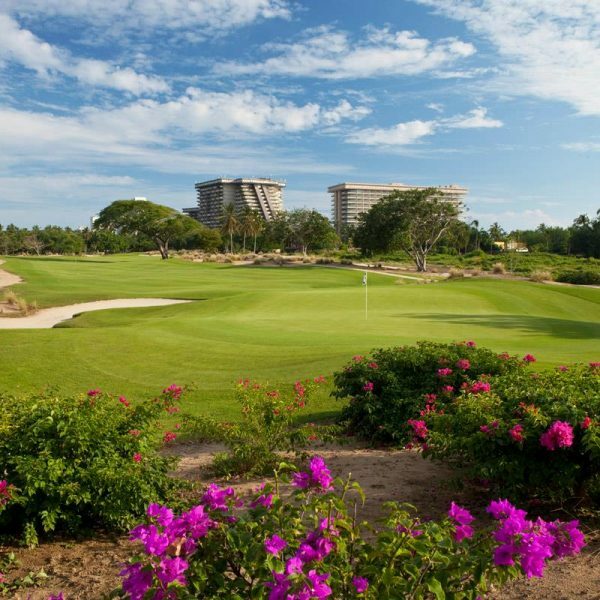 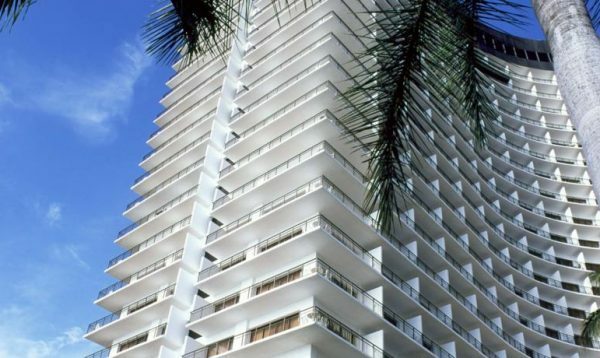 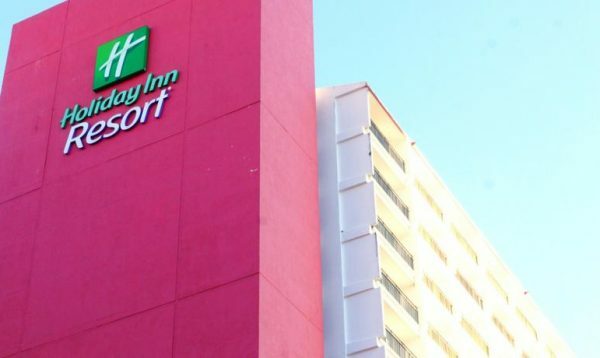 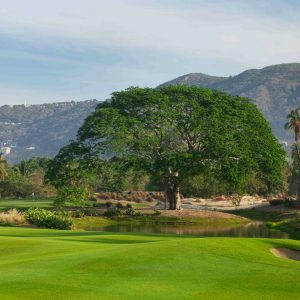 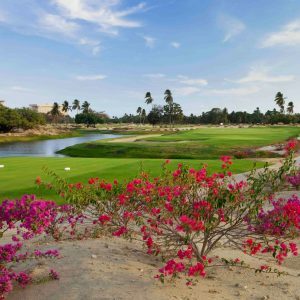 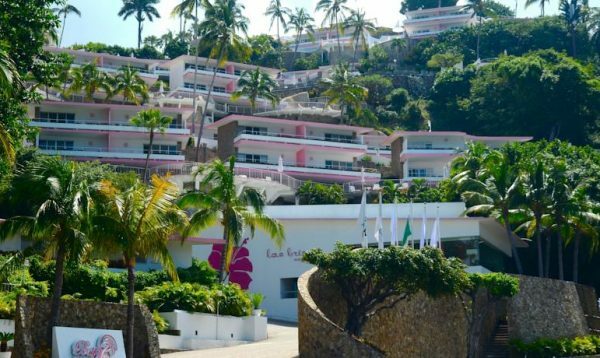 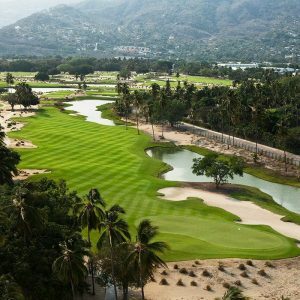 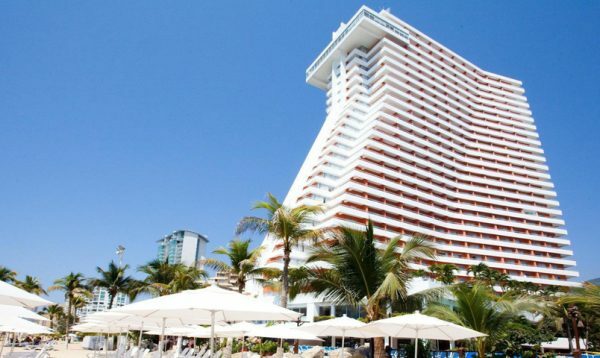 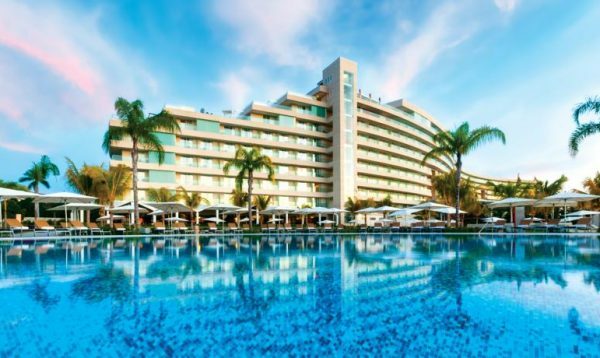 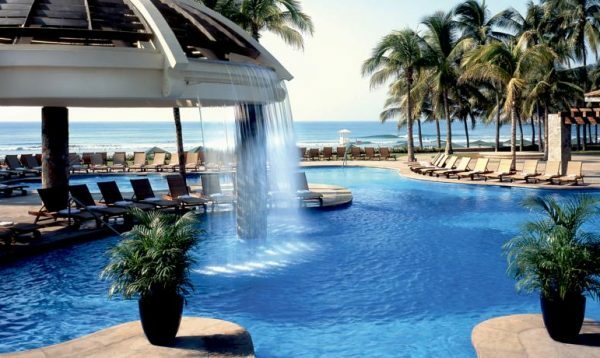 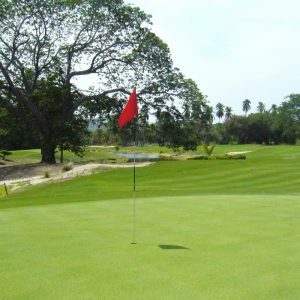 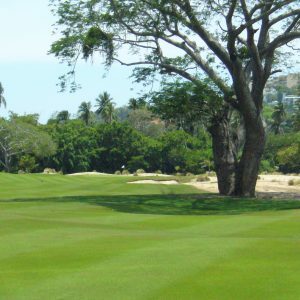 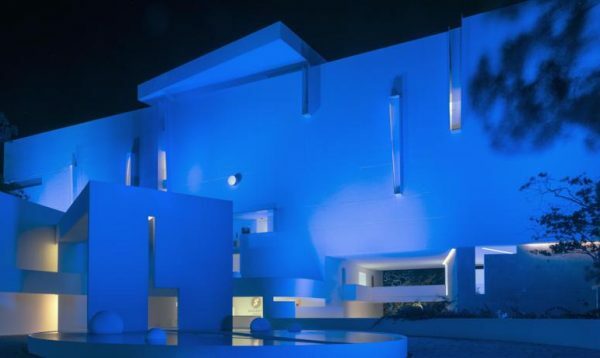 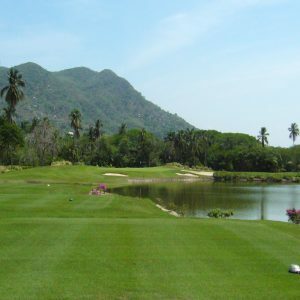 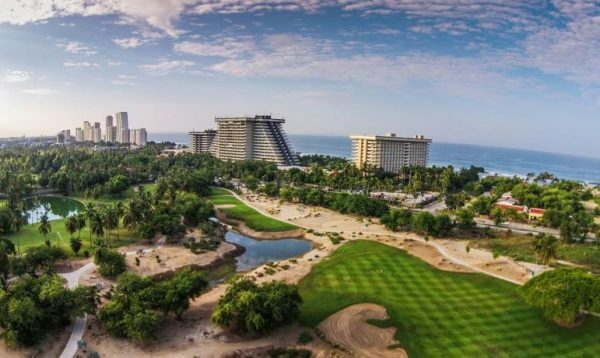 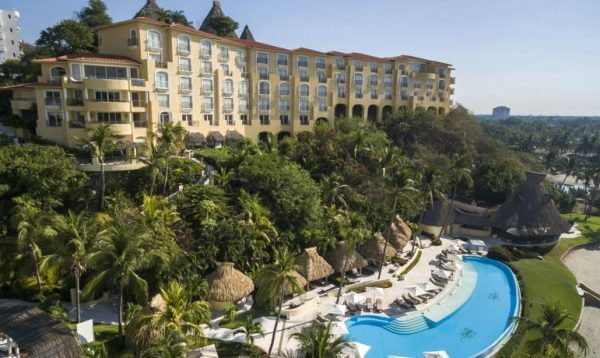 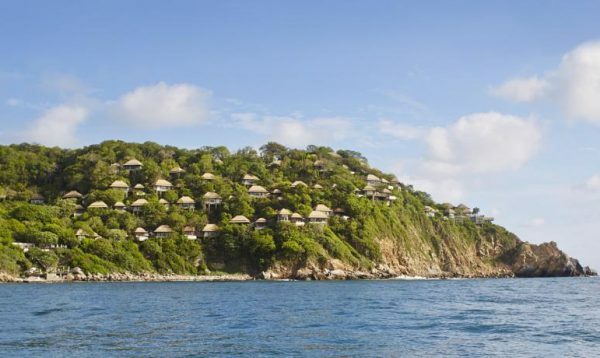 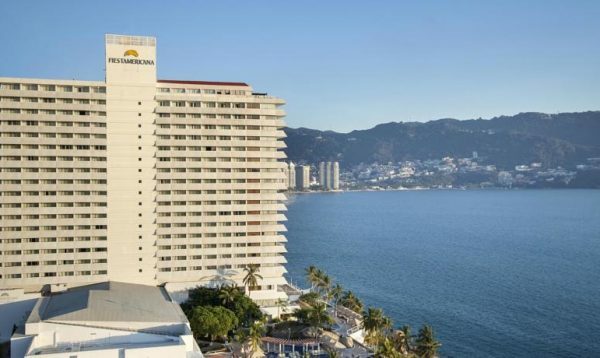 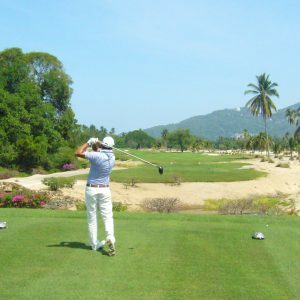 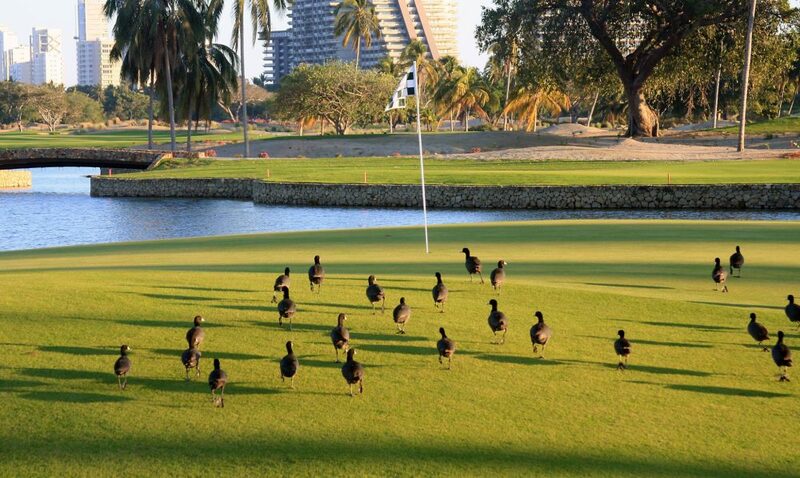 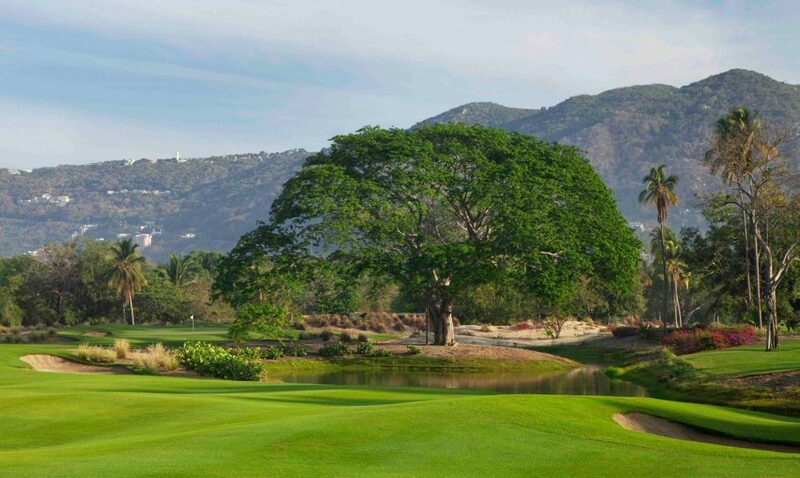 Alternatively if you are a guest at one of their three local hotels – Princess Mundo Imperial Riviera Diamante, Pierre Mundo Imperial Riviera Diamante or Resort Mundo Imperial – you are entitled to play the course and will be guaranteed a tee-time.